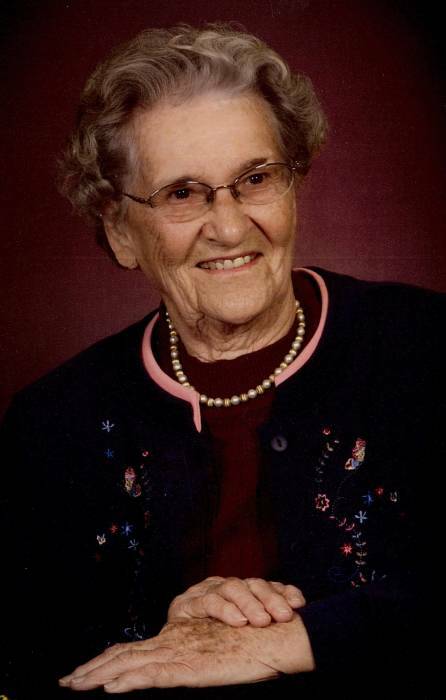 Mrs. Martha “Irene” Blake, age 98, passed away Thursday January 31, 2019 surrounded by her loving family. A graveside service will be 3:00pm Sunday at Tabernacle United Methodist Church Cemetery. The family will receive friends from 2:00-3:00pm in the chapel. Mrs. Blake was born in Guilford county to the late Charlie and Ila Sharpe Coble. She was a life time member of Tabernacle United Methodist Church, and retired from Blue Bell Manufacturing Company in 1983. In addition to her parents, she was preceded in death by her husband Clarence Blake and son Earl Blake. Irene is survived by her children Gary Blake (Lorene) of North Wilkesboro, Harold Blake (Judy) of Greensboro, and H. Wayne Blake (Diane) of Texas; sister Doris Marshall of Virginia. Also surviving are nine grandchildren, seventeen great-grandchildren, and five great-great grandchildren. In lieu of flowers, memorials may be directed to Mountain Valley Hospice, 698 N. Bridge St. Elkin, NC 28621. George Brothers Funeral Service is assisting the Blake family.